My sincere thanks first of all for your most kind interest and comments for my upcoming Turkish cookery book, Ozlem’s Turkish Table, Recipes from My Homeland. Publishing a book is a labor of love and your warm feedback has been so greatly appreciated. I wanted to inform you that you can now pre-order my cookery book, Ozlem’s Turkish Table, Recipes from My Homeland at this link, not only with Paypal (direct or debit/credit card via Paypal) but also directly with your Debit or Credit Card , as well as Paying Offline, with a Bank transfer, to the account specified at this link. If paying Offline, please kindly include the Ref: GBPShop-your last name. I hope the Offline payment option would be useful especially to all who can’t use Paypal or credit cards, as in Turkey. Also Please kindly enter the promo code Pre-Order Special when it says “Enter a promo code” on the left side of your shopping cart to get your 10% discount. Pre-orders will have the first priority of distribution worldwide in early March, prior the release of the book in April 2018. 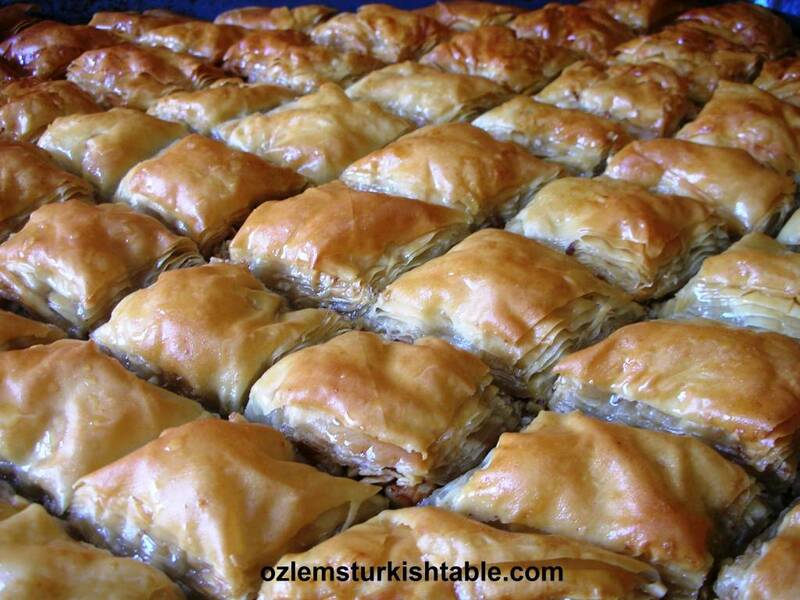 Ozlem’s Turkish Table on Brooklands Radio! 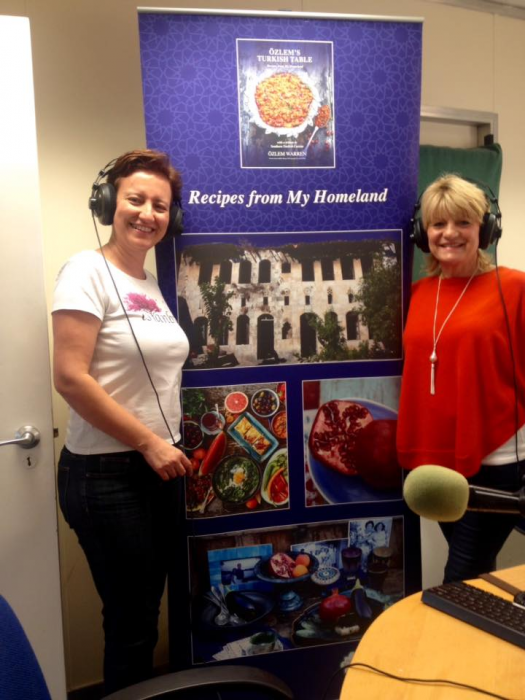 I had the pleasure to go on air at the Brooklands Radio in Surrey with dear Jill Bennet – being a music lover and an amateur radio DJ in my younger years in Istanbul, it was very exciting to be in the studio again!- We had a lovely chat on wholesome, delicious Turkish cuisine and on my upcoming Turkish cookery book, Ozlem’s Turkish Table. My book is a special tribute to especially to my southern Turkish roots and my home town Antakya – Hatay, who recently became a UNESCO World City of Gastronomy, a title that Hatay so rightly deserves. It was wonderful to chat about this magical land and its scrumptious cuisine. Here’s the podcast of our interview, if you would like to listen to it. 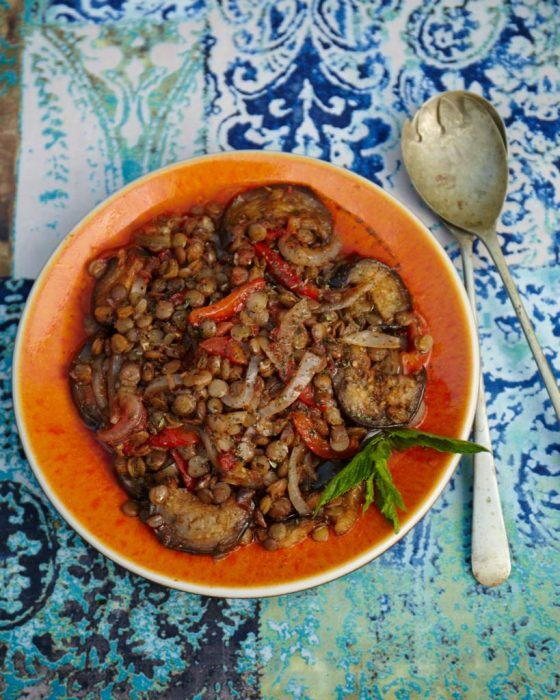 Mercimekli Mualla, aubergines, lentils and peppers cooked in olive oil, which is also at my upcoming cookery book, has been a huge hit at my cookery book introduction and pre-order event last week. 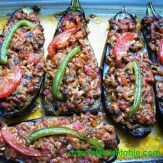 A delicious specialty from Antakya, this lovely dish ticks many boxes being vegan and gluten-free too. Dried mint and olive oil flavour the green lentils and aubergine/eggplant beautifully. Here’s my recipe link for Mercimekli Mualla, I hope you enjoy it. 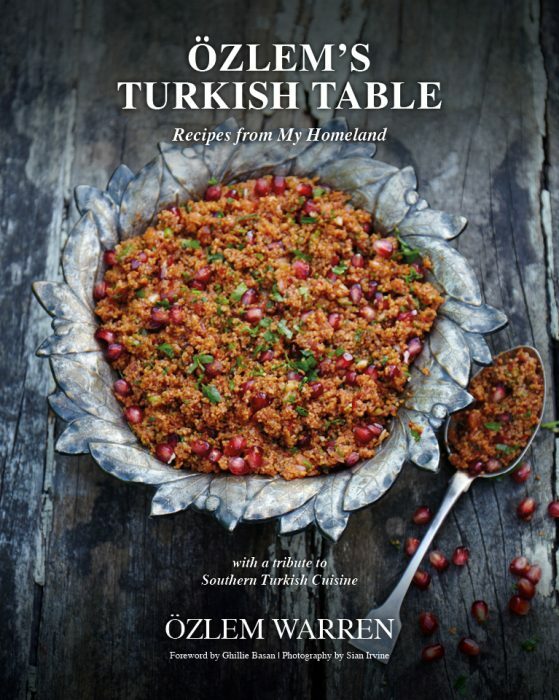 Ozlem’s Turkish Table Cookery Book – available for Pre-order Now! I love this recipe. 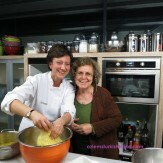 I didn’t know you had a DJ background – that is why you are so comfortable on air and demonstrating recipes. 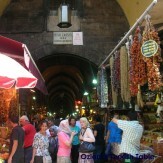 Hi Ozlem, I’ve just read an interesting piece on gastronomy awards and status for Turkey. Hatay has been added to the list by Unesco Creative Cities network. I expect you already know this but, just in case you don’t, here is a link to the article which includes other links for follow up reading. My first thought was of you and I wonder if you may be able to promote your book further by these means. though I love the rustic look.